Energy efficiency is a very important issue in society. How the resources to be used efficiently and reduce unnecessary waste becomes the target of our future development. We find that many people will not pull the plug when finishing using the electrical products. Most electrical products will be in standby state when being not in use. But the electrical product is still wasting energy. So we design a circuit device. 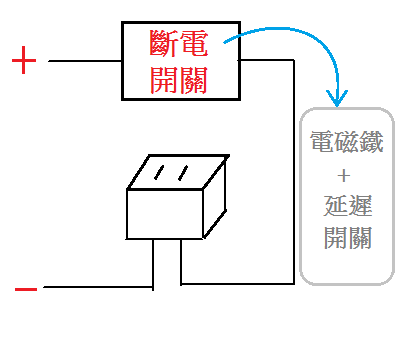 When the electrical product is in the standby state, the circuit device will automatically cut off the power, thereby reducing the electrical power wasted in standby.